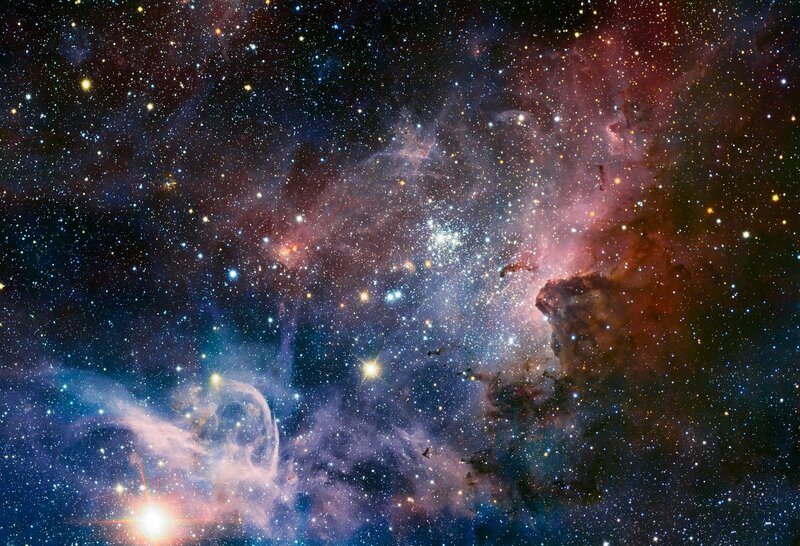 This picture of the Carina Nebula, a region of massive star formation in the southern skies, compares the view in visible light with a new picture taken in infrared light. 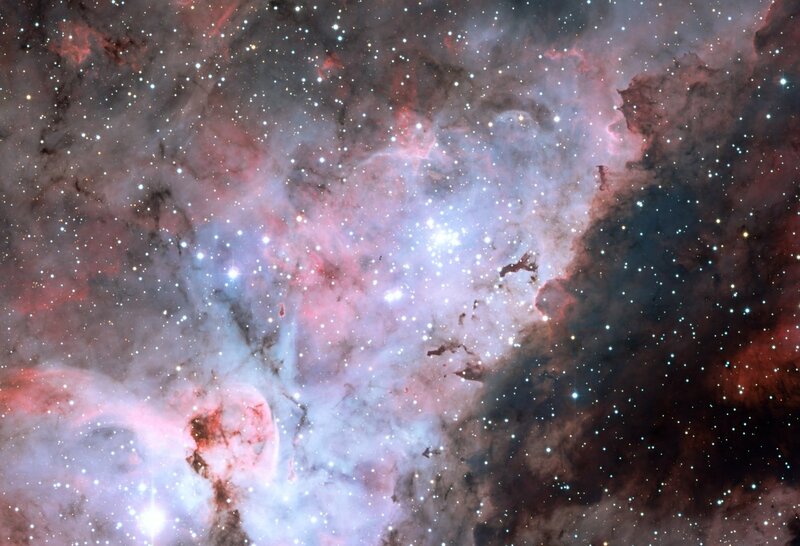 The visible-light view comes from the MPG/ESO 2.2-metre telescope at the La Silla Observatory and the new infrared picture comes from the HAWK-I camera on ESO’s Very Large Telescope. Many new features that are not seen at all in visible light can be seen in great detail in the new sharp infrared image from the VLT.